It sounds like something out of a science fiction novel, but now we have a substance that could one day allow doctors to activate different parts of your brain using nanoparticles and magnetic fields. It’s even possible that this area of research could one day make our brains programmable. Florida International University pharmacology professor Sakhrat Khizroev and a team of researchers wanted to see whether they could affect where electricity flowed in the brain. 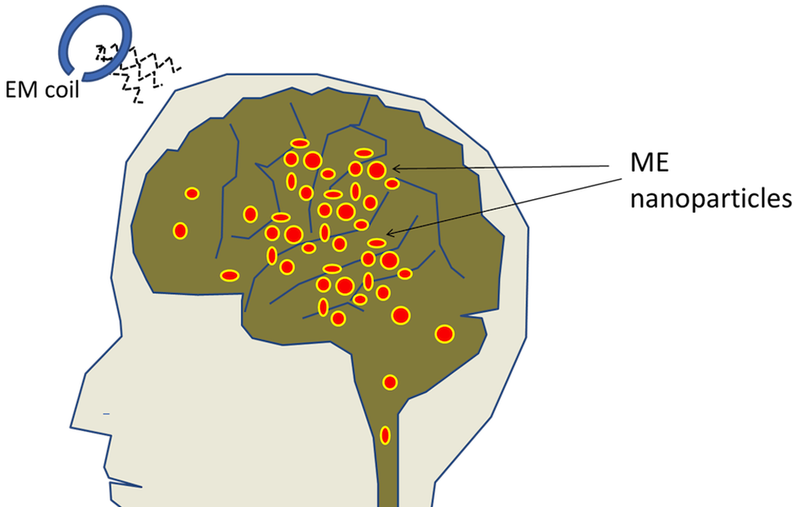 Your brain cells, known as neurons, communicate using small amounts of electricity all the time. Indeed, your thoughts and memories are in a sense nothing more than electro-chemical signals. Khizroev wondered what would happen if we could figure out a way to induce those signals to happen, using an external source like a magnet. To find out, he and his colleagues injected mice with nanoscale “magnetoelectric” particles, ultra-tiny flakes of metal which crossed over the blood-brain barrier and collected in the animals’ brains. When the researchers exposed the mice to a magnet, the particles created their own minute electrical field, and caused nearby neurons to light up with electricity too. This is one of the first examples of scientists using an external source to activate specific neurons within a brain, and is based on previous work where Khizroev proposed this procedure for deep brain stimulation. It’s “more like a drug than a device,” MIT researcher Paulina Anakeeva told New Scientist’s Hal Hodson. And that’s exactly how Khizroev and his team imagine it will be used. Those nanoparticles could be used to deliver drugs to specific parts of the brain, and activated by magnet in those regions where medicine is needed. This system could also be used to create detailed maps of electrical activity in the brain, if we used the particles to pick up signals rather than deliver them. An even more futuristic scenario might involve turning this system into an interface device, passing signals between brains and computers — essentially creating a way for brains and computers to communicate wirelessly. [Khizroev] hasn’t tried it yet, but he says running it in reverse, so that the nanoparticles produce a measurable magnetic field in response to the brain’s own electrical fields, is possible. Our brain states would then become input parameters for computers, which would be able to directly stimulate specific regions of the brain in return.